Hello Frndzzz.... www.dealsnloot.com Again Back With New Loot Trick Of Taskbucks App. 2). Open the app, Now Enter Your Mobile No. , Email Id and Refferal Code – “ MABW3Y”. 3). Now Click on “ENTER” and Verify your No. 4). Now your account will be created and you will see various offers of downloading apps like amazon, goibibo etc . Also you can see the amount you will get for downloading these. 5). Click on any app you want to download. After Download the app and open it for several minutes as was mentioned in the rules. 6). Now go back to #taskbucks app and you will get your reward added to your #taskbucks wallet. In this way, you can install many apps and earn a lot of paytm cash !! 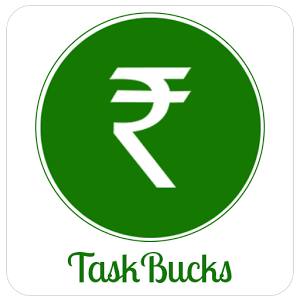 *Skip Above Steps If You Have #Taskbucks In Your Mobile. 1). Now Install & Open Titanium Backup Pro In Mobile and allow root access . 2). Now Click On Right Icon [in the left of menu] In Right Corner of app.Then Click On Backup All Users App & Select #Taskbucks And Then click on Right Icon In Top right corner.Backup of Taskbucks Is Done. 3). Now Close The App And Connect Your Phone To Pc through USB Cable And Copy TitaniumBackup Folder From Your Phone Storage/Memory Card To C>Users>Public>Public Pictures. 4). Now Install & Start Bluestacks & Open File Manager or Install Es File Manager Which app You Have. 6). Now Select and Copy This TitaniumBackup Folder From Public Pictures And Paste It On Main Sd Card path i.e. >>Storage>Sdcard. 7). Install Titanium Backup Pro In Bluestacks. 8). Now Open Titanium Backup In Bluestacks And allow root access. 9). Now Click On Right Icon [in the left of menu] In Top Right Corner of app. 10). Now Click On Restore Missing Apps With Data And Then Select Taskbucks App And Then click on Right Icon In Top right corner.Restore Of Taskbucks in Bluestacks Is Done [If You have Already Installed Taskbucks In B.S. Then Uninstall It before this steps ]. 11). Boom!!! 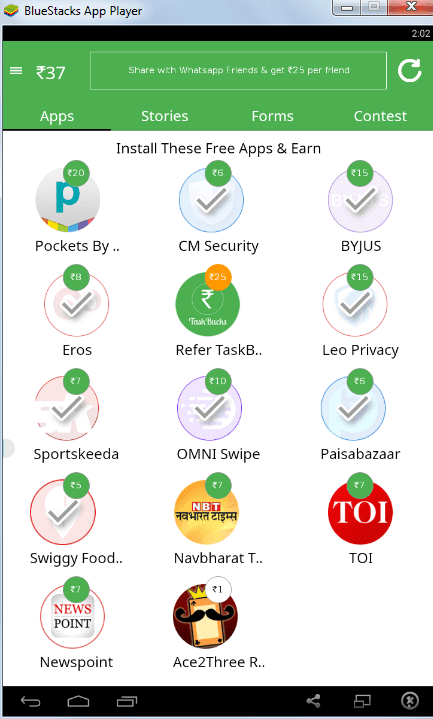 You have Successfully Installed #Taskbucks App In BlueStacks without any verification. 12). Now You Can Download Offers and earn money unlimited . Change Android Id & Guid from Bluestacks Tweaker For More Earnings After Complete offers. Enjoyy This Superbb Trick And Don’t Forget To Share It With Friends.